Spring is finally in bloom so I have been on the hunt for new pieces to refresh my wardrobe. JCPenney has been one of my go-to stores to scoop up trendy looks at the best prices for all of my up coming spring events, with new arrivals popping up in stores monthly it's easy to find the perfect styles that complete any look! Finding wardrobe pieces that can be worn or styled several ways like this gorgeous jacket, are so important for creating a versatile wardrobe for this very busy time of the year. Easter, Graduation, Bridal and Baby showers are just a few of the spring events that I'm sure on your spring agenda, just like me. 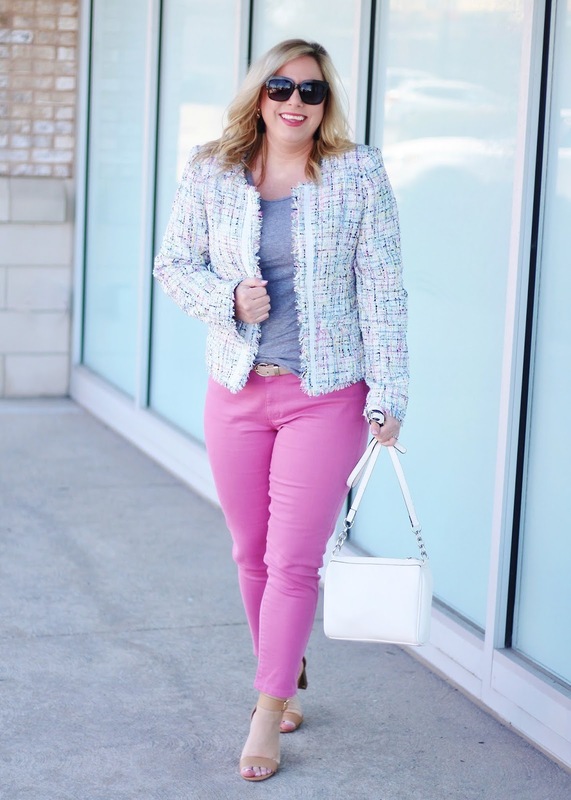 I don't want to break my budget buying all new looks for every occasion so JCPenney always comes through with just about everything I am looking for to extend my wardrobe and refresh my style at a great value! Love Now, Wear Now. Hurry into JCPenney, the newest spring arrivals are hitting stores today and these new spring pieces won't last long!!! Shop JCPenney Style Director's April Top 5 Trend List HERE! Get This Look by Shopping at JCPenney! I also adore the spring fashions available at JCPenney right now! Yes, me too!! I am loving all the amazing trends at JCPenney for the spring season. So glad you like it too! In love with your tweed coat! It is so perfect for spring and the color of your outfit are beautiful! !